I have to admit, I do love me some Cracker Barrel. When I lived in the Midwest and the fam would take a drive into Wisconsin, dinner always seemed to end up at one of their restaurants. The down-home cooking and somewhat Southern charm of the Tennessee-based chain always had a folksy appeal to me. And the chicken-fried steak was to die for. But, chicken-fried steak and folksy doesn’t necessarily appeal to the fickle millennial audience these days. And companies can’t afford to ignore them. Epsilon in Chicago has now developed an amusing new digital advertising campaign — aimed at Millennials and Gen X’ers — that introduces three new menu items. 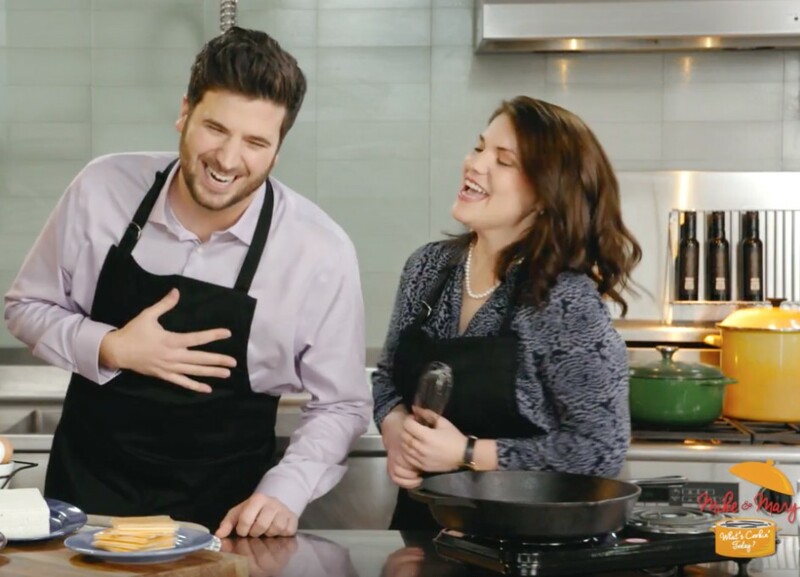 The trio of 30- to 40-second videos feature a cooking duo, Mike & Mary, who are about to whip up some Southern-style dishes. (Why they don’t sound Southern, I’ll never know; but I went along with it.) The videos quickly make clear that the bantering pair are, to cooking, what Stacy Dash is to politics. Each video was directed by Epsilon Chief Creative Officer John Immesoete, who is no stranger to extending Epsilon’s content footprint as he hosted 43 episodes of the agency’s well-received Conversations with Giants. He worked in tandem with Epsilon’s in-house production and post-production teams. Foodies should appreciate how the Epsilon work lampoons cooking shows you would typically see on Food TV. Immesoete makes it look easy to poke fun at the usually dead serious nature of the shows and the hosts. For an audience of millennials who may not be tuned into Cracker Barrel and its more middle American mindset, the Mike and Mary stuff may help them get over their hangups and try Cracker Barrel. The spots launched on Cracker Barrel’s YouTube channel April 4 and will run through May 16. Meanwhile, a much more traditional TV spot from Havas Chicago has just debuted introducing the Southern Bowls to the mainstream Cracker Barrel audience. Contact Colin Costello at colin@reelchicago.com.